Henning Bjornlund has been at the University of South Australia for more than 20 years. Since January 2015, he has been a Research Professor of Water Management and Policy. 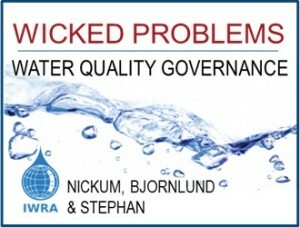 For the last three years he served as a Director of IWRA. In that capacity, he presented a number of papers and served on two steering committees for research projects. He has extensive experience in managing large research projects and published some 175 refereed papers. Prior to joining academia Henning was involved in the management of educational institutions, businesses, tropical farming operations and a development aid organisation. He served in various capacities such as board member, chairman and executive director. Henning offers a unique blend of experiences crossing academia, industry and the NGO sector.